When I first moved to Dallas, despite having Jeff, my future husband at the time, I was quite lonely living by myself in a brand new city. That was until I joined Uptown Yoga, a fantastic local yoga studio, and began to devote my time to all of the miraculous benefits of yoga: flexibility, balance, calm mind, strong core, etc., etc., etc.! 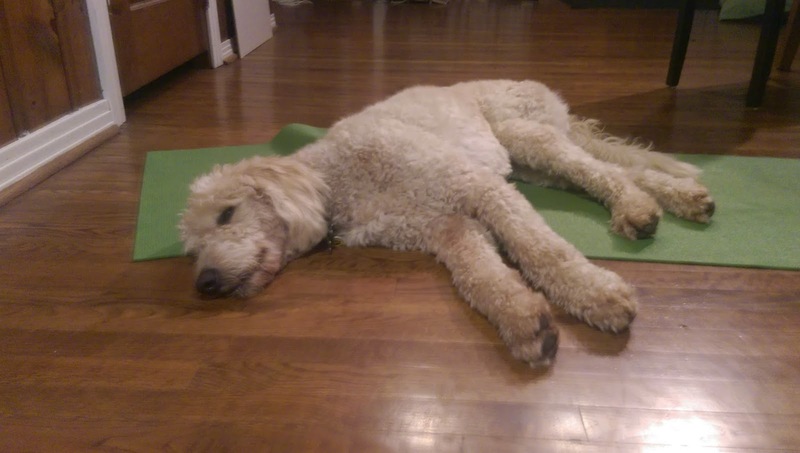 Last night I brought my mat inside from the car, to practice my headstand, and somebody began pawing and circling on it to make a bed for himself. It was a rather flat mattress, but Milton scratched at it until he had just the right amount of satisfactory wrinkles to rest his tired body after a long day of daycare. I think by today Milton will have realized how terribly hard and uncomfortable this stiff mat is and will forgo it for one of his other fluffier beds. 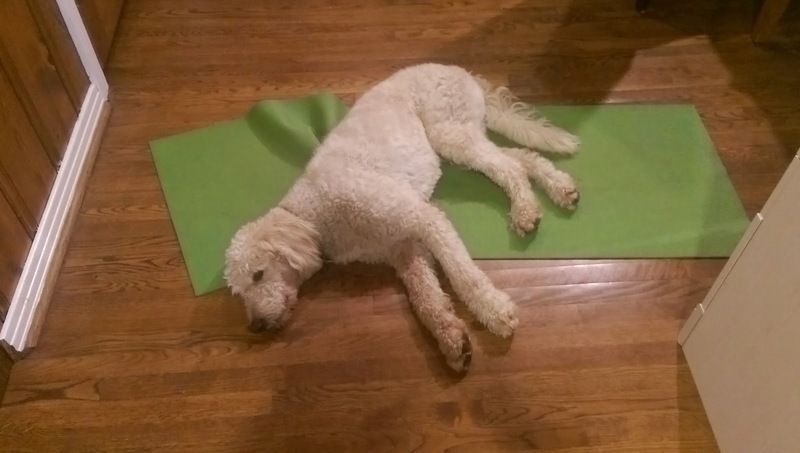 Milt does, however, like to lick my face while I try to push up into headstand, so I think we may be sharing this mat at least for a little bit. Yesterday Jeff, Milt, and I took a stroll to a local restaurant, Vagabond, for a late brunch. Truth be told, we received a door hanger, with a spectacular buy one entree get one free deal, advertising them, so I thought what the heck? Let's go! Despite the 90+ degree heat, we had a lovely brunch even though poor Milt panted throughout the majority of it. I suppose, like usual, he was lucky to be included rather than left to guard at home. What I realized is eggs Benedict is much too runny for me -- never again. On the long (according to Jeff) walk home, we heard a snap, Jeff said a choice word, and that was that -- His flip flop flip flopped for the last time ever. For the remainder of our march, Jeff walked barefoot throughout the Dallas city streets, oddly enough, placing him in solidarity with the Milt. I think our goldendoodle was happy that his Daddy Dog could finally experience just how toasty these city sidewalks can really get. Those two did make a cute pair of shoeless guys. I actually just received the Amazon confirmation that Jeff ordered a brand new set of Rainbows for himself, based on my recommendation. 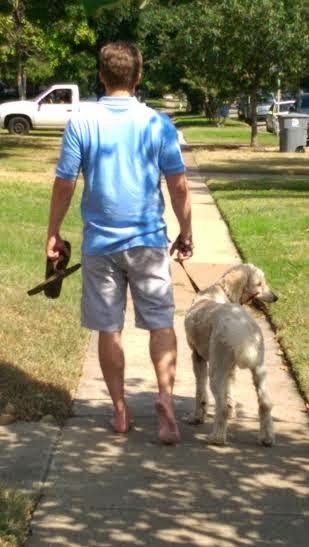 They are a pricier pair of flip flops, but in this Texas heat, we do tend to wear them quite frequently. Despite the pumpkin and mum displays on many front porches, I don't think fall is going to descend on Dallas any time soon... I'm just fine with that though; it's still really nice and easy to throw on a summer dress with flip flops for most every occasion! Milt, however, would like the heat to finally ease up a bit. It has been affecting his ball game just a little bit. Soon enough, I suppose. My Toyota Corolla is now tricked out to the max, and Milt and I are rockin' it all over these Dallas highways. The one conundrum is that the magnet, unlike the sticker, can be easily removed. That leaves it wide open to the possibility of theft. Thankfully, so far so good though. Let's hope our luck holds out. Nobody wants to mess with a dood mom, especially this one -- Milton's Momma. Milton likes to get a good stretch in whenever possible. Quite often, Milton begins the evening in our room and then wakes up for a mid-night potty break. He seems to forget to do that at the end of the night when we let him out...! Then when the Milt Dog comes back inside, he bypasses our bedroom and ambles up to the living room to set up camp on our couch. Go figure... Well, I suppose we can't blame him. He is kind of the top dog around here. When I was a kid, Labor Day always heralded the end of summer. It was the final long weekend before the inevitable return to school. There were always, of course, a few exciting things to look forward to -- shiny, new school shoes, colorful backpacks, and a fresh class schedule with a cheerful teacher. It wasn't all doom and gloom; rather, those first few days were actually not half bad! Now that I live in Texas, and I, myself, am a teacher, I am still a part of the predictable school year cycle, and I like it an awful lot. I really do crave routine. That being said, school has already been in session here since August 21st, which is hard to believe, so Labor Day, for me, has gradually morphed into an ordinary three-day weekend filled with distant memories of anticipation. 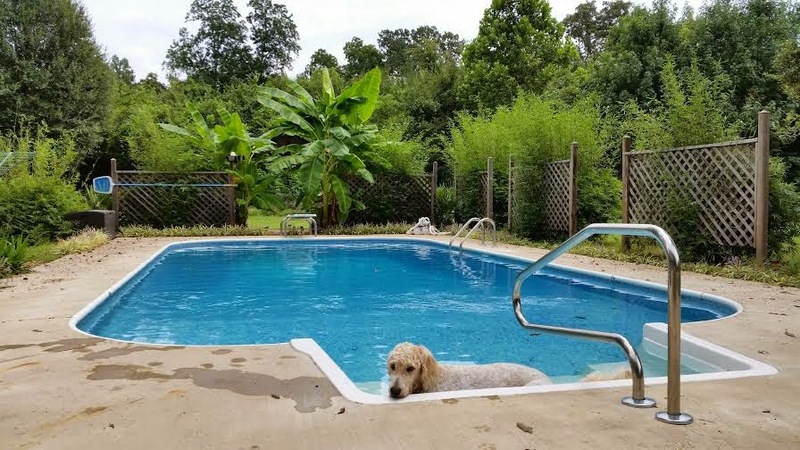 This year to celebrate Labor Day, here in the South, Jeff, Milton the Goldendoodle, and I drove to Louisiana to help Momeaux and Pop, Jeff's parents, make their recently purchased golden years home ready for move in! 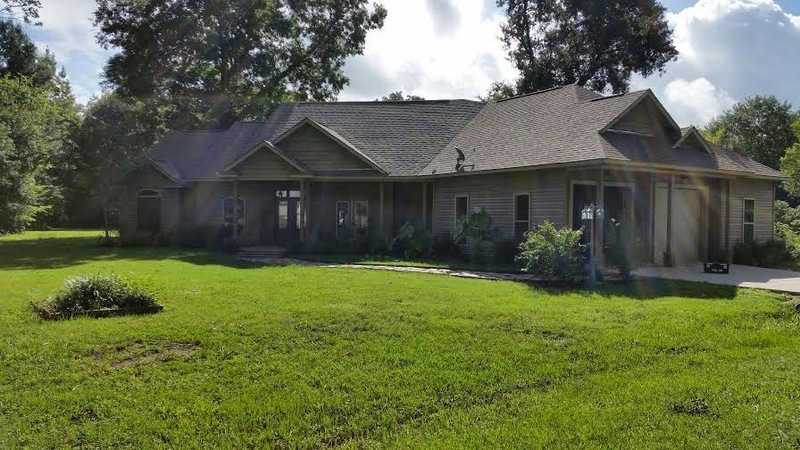 I, in particular, am a bit sad that Momeaux and Pop are leaving their current town because they have the absolute best po boy shop around, but their new house does have a certain allure to it -- pond, pecan trees, pool, fruit trees -- that do, in fact, overshadow even a heap of the very best fried oysters! Jeff and I, truly, couldn't be happier for Momeaux and Pop; if anyone deserves a thick slice of happiness way out in the country, it's these two. Our little family was more than happy to dirty up our clothes to help them realize their bucolic dream. The boys just watched for the most part; well, I suppose not being underfoot is a bit of a help. Just right -- The pool has an amazing tropical feel; I think the banana leaves at the far end really up the ambiance. I hate to say it, but as much as I like city life, I got to missing the country life after we returned from our weekend jaunt. 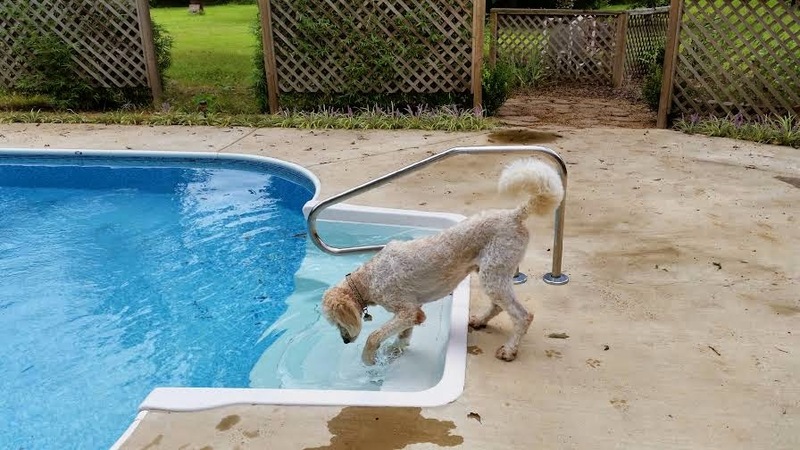 Nevertheless, I do like to think that the next best thing to having your own pool and property is to know someone who does, and I seriously doubt that Momeaux and Pop will ever object to us visiting them, especially since we have their grandpuppy! I wish them the very, very best. It happened. It really happened. 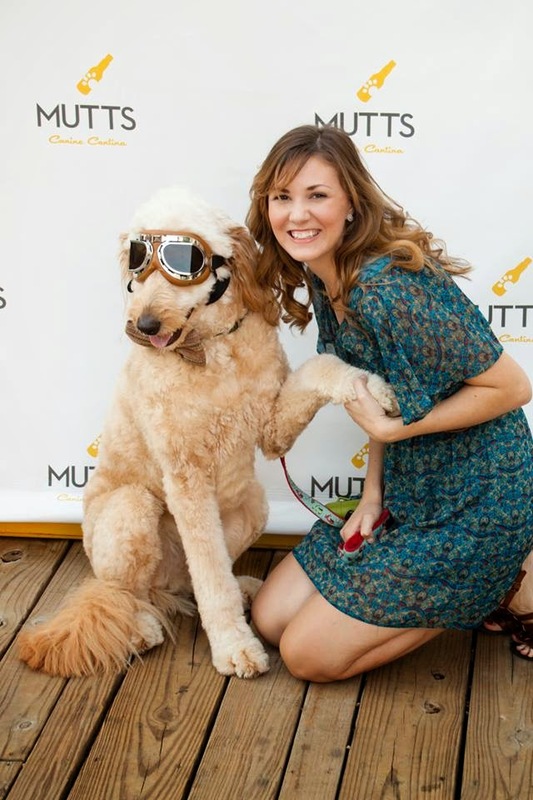 I finally got to meet the, the Nelson the Goldendoodle on Tuesday evening at Mutts Canine Cantina's National Dog Day Celebration! Wow, it was like a dream come true. Prior to that night, I was always scouring the roads to see if I could catch a glimpse of the handsome dood zooming around in his own personal Vespa sidecar. Nope, no luck, but now I can finally say that I have met him -- Nelson! He really is the Dood of Dallas. Who can resist a dood in a bow tie? Milton, of course, met him too, but, unfortunately, as luck would have it, my phone camera was on the fritz, and to make matters worse, it is my brand new phone...! Oh, well. 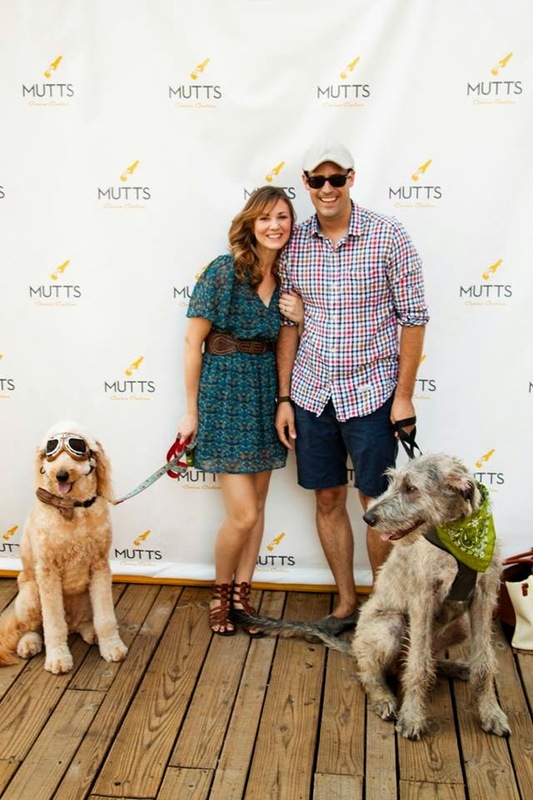 It was still an evening to remember, and at least I was able to skim some prime photos off Mutt's Facebook page. Nelson rolling in on the red carpet! What a good looking fam! The very best part of the evening was that when I introduced myself to Nelson and his parents, Genesis, the mom, remarked that she had seen my blog before! What a tremendous compliment for me...! 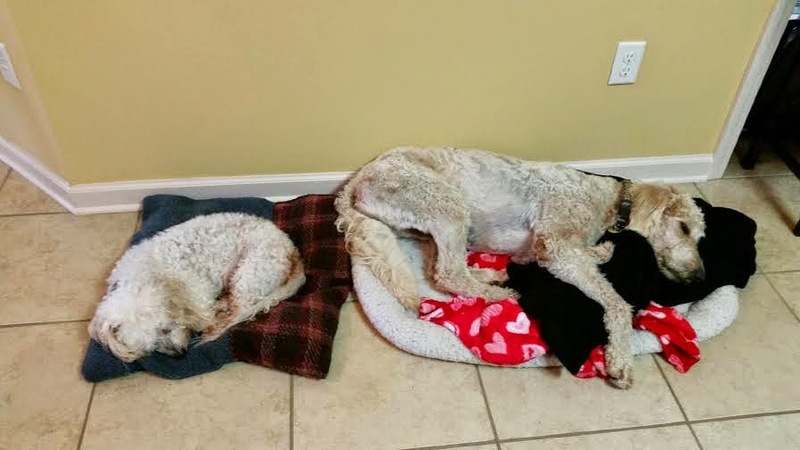 The night was much too short, and I am hopeful for the possibility of a doodle date with Nelson and his brand new brother, Walter the Wolfhound, sometime in the fall. Goodness knows, I want another dog now more than ever! 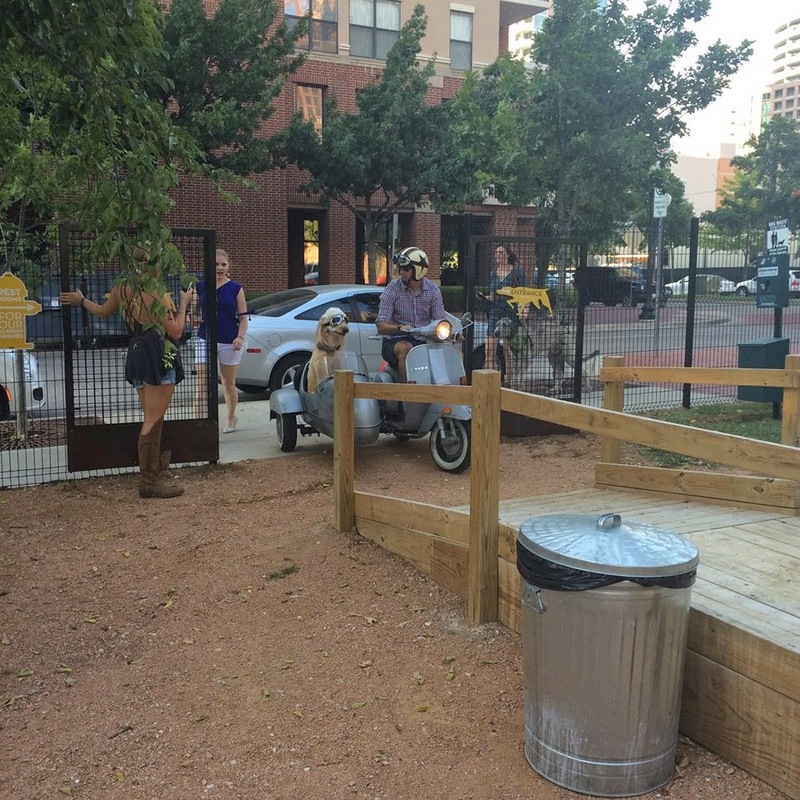 If you want to know more about Nelson, the Vespa riding dood, definitely check out this recent USA Today video: Sidekick Dog Rocks Sidecar Like a Superstar and this one in D Magazine: Meet Nelson, the Coolest Dog in Dallas. 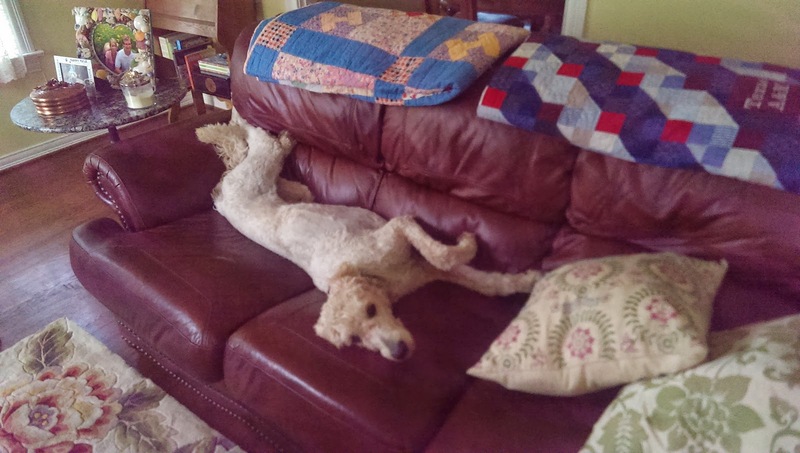 You can also follow Nelson on Instagram: @nelsonthegoldendoodle and his brother, Walter the Wolfhound: @walterthewolfhound. 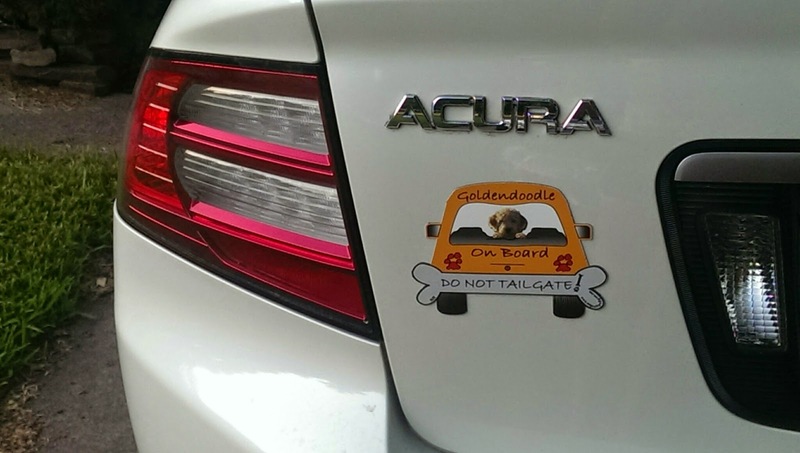 Well, heck, don't forget to follow me too: @milton_the_goldendoodle! 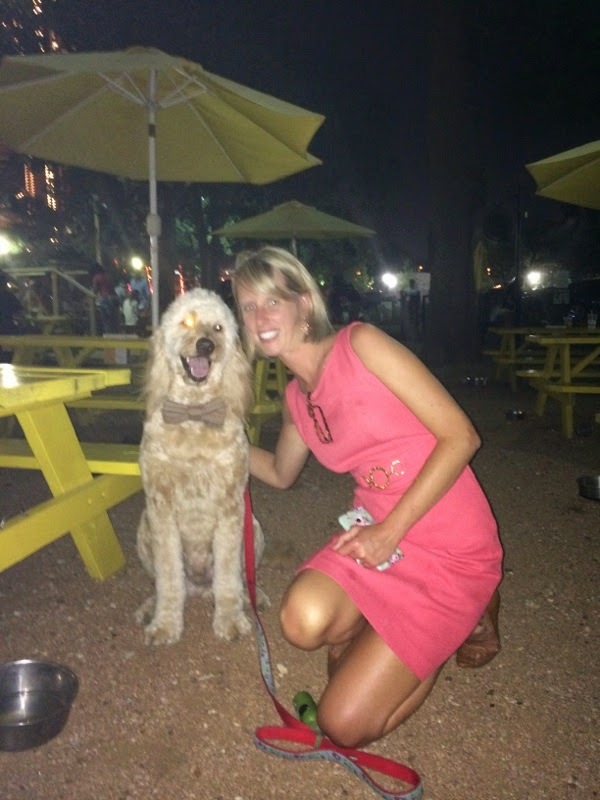 National Dog Day certainly was memorable, and after meeting Genesis, Nelson's momma, it feels good to know that I am not the only one who takes the dog mom status quite seriously! 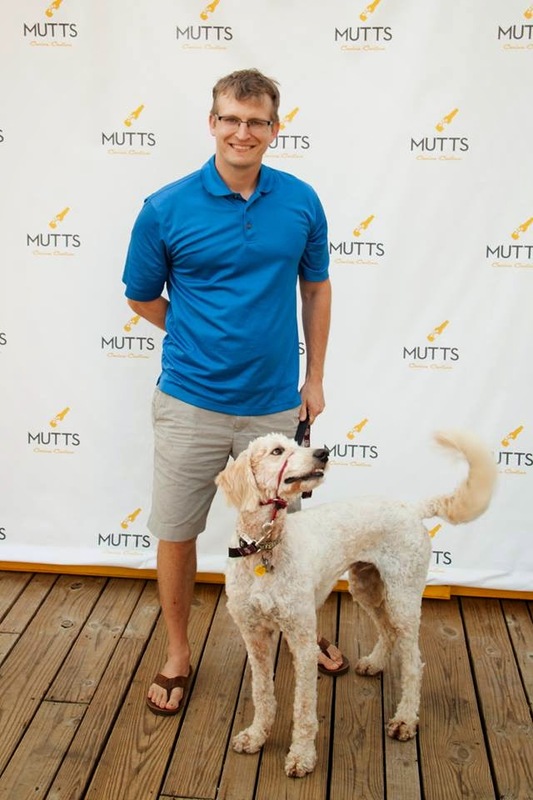 Oftentimes, I observe a bit of head shaking, eye rolling too, when people see how wild Jeff and I are over our baby, the big fur baby -- the Milt Dog. Well, human babies are certainly adorable, but I still think that fur babies are the very best kind. Have a fantastic weekend, everyone! 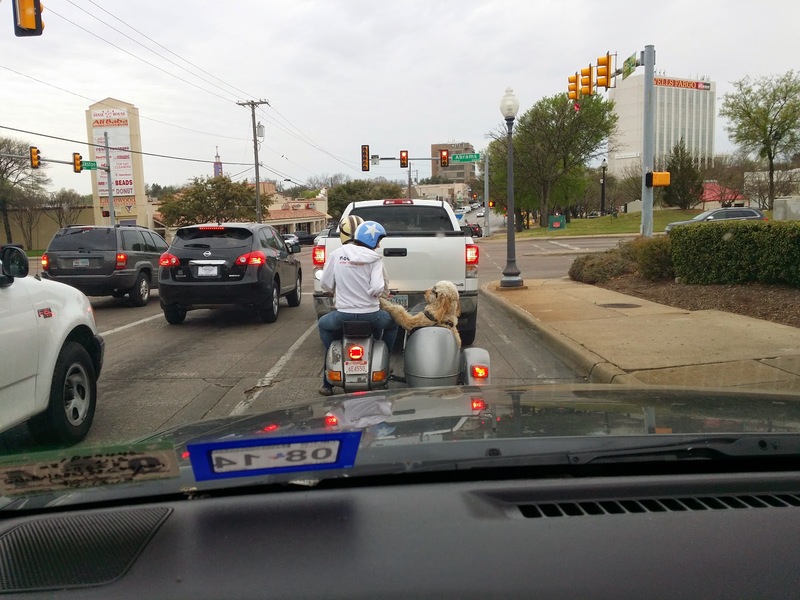 Yes, we are going to meet local celebrity Nelson the Goldendoodle, the dood who cruises all over town in his own personal sidecar attached to his parents' Vespa. How cool is that?! I don't know who is looking forward to this more -- Milt or me! Nelson + $1 hot dogs -- unbelievable! It is certain to be a good time. I do have to admit, however, that Jeff and I do share a bit of jealousy over Nelson's incredible Instagram fame! We only wish my blog was about half as popular, but then again, we don't have a sidecar...! I mean how can we possibly top that?! Undoubtedly, the next best thing to owning our own sidecar is to be friends with someone who does -- Nelson. We'll let you know how tonight goes. Hopefully, Milt and Nelson hit it off...!